NTK Cutting Tools is a division of NGK Spark Plug Company Ltd. Our long history and experience in ceramics materials technology has made us a world leader able to deliver quality and value to our customers. NTK provides a comprehensive and advanced range of cost-effective cutting tools to meet metal working industry requirements. 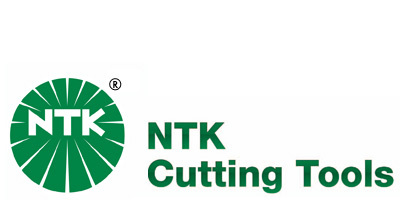 NTK Cutting Tools has a long and progressive history of technical excellence and product development with the result that NTK are recognised as a world leader in the design and manufacture of advanced cutting tools. Ceramics have always been the core of our business which has led through painstaking research of other materials to the development of new types of cutting tools to meet metalworking applications. One of our latest developments is Poly-Crystalline Diamond which brings a new and cost-effective dimension to high speed cutting of aluminium alloy materials. NTK products address the issues of ecology and environmental protection. Our production facilities consistently strive to reduce pollution from our processes while recycling is a high priority. NTK will do its part to ensure that future generations inherit our values of ecological preservation. Certainly, satisfied customers are impressed with the quality and cost-effectiveness from using NTK cutting tools coupled with high levels of customer service – it’s no wonder that NTK grows from strength to strength.